Dr. Santpure Shivkumar is a Consultant & Joint Replacement Surgeon. He has worked in the best centers in America and India. At this center over 5000 major orthopaedic surgeries have been performed since 2002. Our patients are from across the country and overseas. Dr. Santpure Shivkumar is one of the few surgeons in India performing total knee replacement surgeries, total hip replacement surgeries, total shoulder replacement surgeries, total elbow replacement surgeries, revision joint replacement surgeries and Ilizarov surgeries. 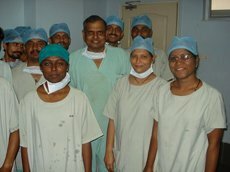 Dr. Santpure Shivkumar uses the most advanced technology and latest operative techniques providing highly successful results. 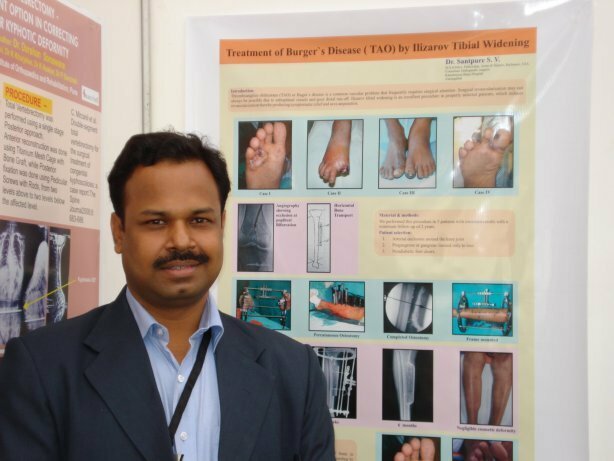 Dr. Santpure Shivkumar is a consultant at Kamalnayan Bajaj Hospital, Aurangabad which is one of the largest private hospitals in State of Maharahtra and a pioneering hospital in the field of Joint Replacement Surgery in India. 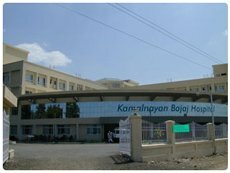 The hospital is in tune with the latest technology as well that promotes the health care and well-being of the patient. There are 5 operating rooms equipped with laminar airflow and the most sophisticated equipment for replacement surgery. Post operative care involves the use of most sophisticated methods to control pain and hasten recovery, such as epidural pump, sequential compression device and CPM. All these ensure excellent range of motion of the joint and quick return to a normal active pain free life. Dr. Santpure and his team, have performed over 5000 major orthopaedic surgeries, including 1000 cases of joint replacement & 1000 more of ilizarov – deformity correction – limb lengthening. TOTAL KNEE REPLACEMENT: (Knee Arthroplasty) can help you to relieve pain and restore the functionality in severely diseased knee joints. All damaged bone and cartilage from your thighbone, shinbone and kneecap are removed and replaced with an artificial joint made of metal alloys, high-grade plastics and polymers. TOTAL HIP REPLACEMENT: a surgery for people with severe hip damage. Damaged cartilage and bone from your hip joint are replaced with new, man-made parts. This relieves pain, reduces hip stiffness and helps your hip joint work well, and improve your walking and other movements. Your doctor may recommend it if you have hip problems and pain, and physical therapy, medicines and exercise don’t help. SURFACE HIP REPLACEMENT: is an alternative to traditional hip replacement. It provides a bone-conserving artificial hip joint, and is designed to preserve bone for younger, active patients. LIMB LENGTHENING & RECONSTRUCTION: is a procedure in which a bone segment is surgically cut and a distraction device is used to slowly pull the two ends apart. After the desired limb extension has been achieved the bone consolidates until the lengthened gap has completely calcified. ILIZAROV SURGERY: The Ilizarov apparatus is named after the orthopedic surgeon Gavriil Abramovich Ilizarov, who pioneered the technique. It is used in surgical procedures to lengthen or reshape limb bones; to treat complex and/or open bone fractures; and in cases of infected non-unions of bones that are not amenable with other techniques. ADULT & PAEDIATRIC DEFORMITY CORRECTION: Developmental Dysplasia of the Hip, Knock Knees & Bow Legs, Club Foot, Slipped Upper Femoral Epiphysis, Scoliosis, Flat Foot, Irritable Hip, Apophysitis, Intoe Gait, Calcaneovalgus Foot, Perthes Disease, Growing Pains. COMPLEX TRAUMA: Severe fractures of the upper & lower extremities, Spinal fractures, Complex Femoral Fractures, Fractures in children, adults, and the elderly, Complex Periarticular Injuries, Pelvic and Acetabular Fractures, Arthroscopy, Osteoporosis Care. 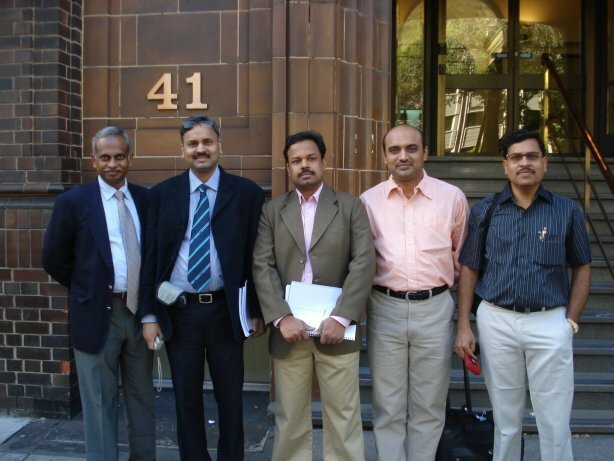 Dr. Santpure expertise has led him to be a consultant at Kamalnayan Bajaj Hospital, Aurangabad, which is one of the largest private hospitals in State of Maharashtra and a pioneering hospital in the field of Joint Replacement surgery in India. His Team, as well as him, is highly qualified for the joint replacement field, excellent medical expertise, health (pre-post operative) care and diagnostic services. You will be treated by experts who work beside the latest technology that promotes the health care and well-being that every patient deserves. Our post operative care involves the use of most sophisticated methods to control pain and hasten recovery, such as epidural pump, sequential compression device and CPM. All these ensure excellent range of motion of the joint and quick return to a normal active pain free life. Operation theaters for Minor Procedures. Equipped with Defibrillator, ECG & other Trauma Management setup. Attended by Well Qualified Doctors & Nurses, Round The Clock. Supported by Radiology Department with X-Ray, CT and Ultrasound, located just next to the Casualty. Separate Waiting Lounge for Relatives of patients.